“I usually take the Ferrari,” he replied. You too can have access to this pure uncut brand of cool, because the 1986 Ferrari Testarossa Crockett driven on the show is headed for auction. 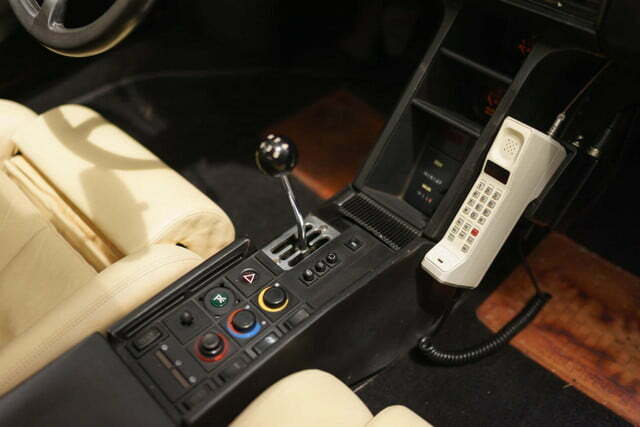 Set to go under the hammer at a Mecum Daytime Auction event in Monterey, California on August 13, the Italian sports car is chalk-full of 1980s culture, including beige leather seats, a high-mounted side view mirror, and even a portable electronic cellular telephone. The car strolled onto eBay late last year, but with an asking price of $1,750,000, nobody took the bait. 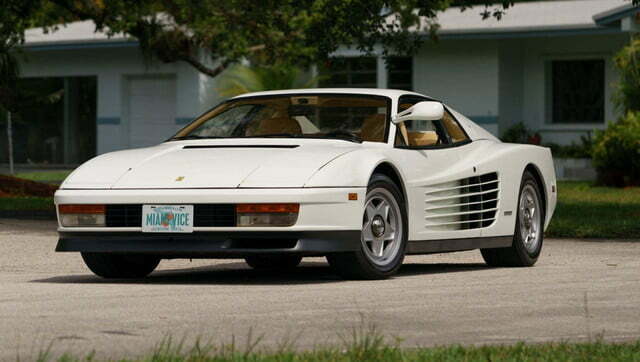 When it was new, the Testarossa retailed for around $181,000. 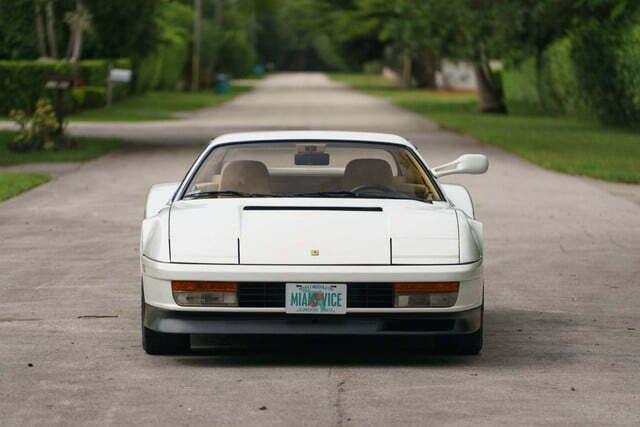 If you’re a diehard Vice fan, you’ll remember the white Testarossa screaming around the streets of Miami at full-tilt, often shooting sparks and absorbing bullets in order to catch criminals. Not to worry though, because those were stunt cars — re-bodied De Tomaso Panteras in fact — so the Ferrari is still in immaculate condition. 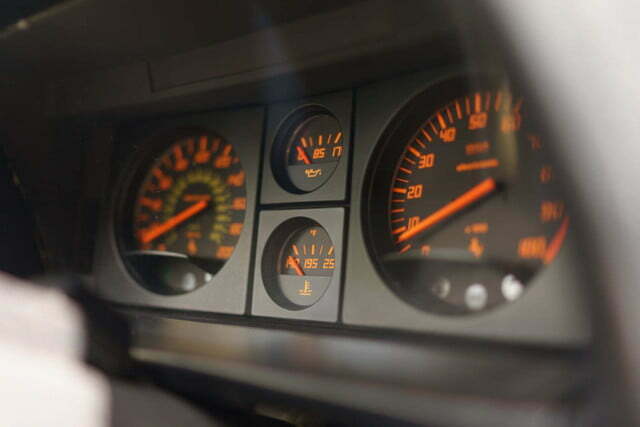 The car has just 16,124 miles on the odometer and has been authenticated by Ferrari North America as well as Ferrari Classiche, the brand’s in-house restoration service. The vehicle has reportedly been sitting in storage since 1989. If you end up placing the final bid on the car, you’ll get plenty of performance alongside major nostalgia and style points. 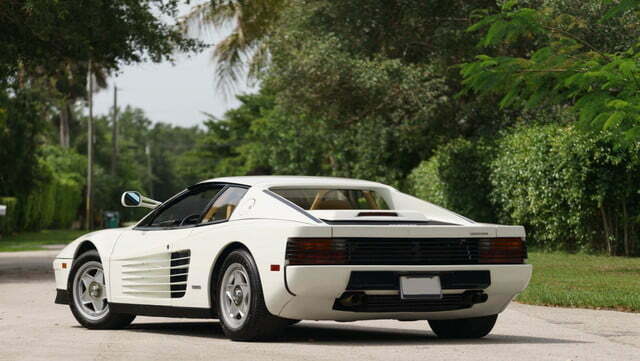 The Testarossa features a mid-mounted, 390-horsepower flat-12 that displaces 4.9 liters, which you control through a five-speed manual transmission. The car is capable of 0 to 60 in around 5.2 seconds, and completes a quarter-mile in 13.5 seconds. With the pedal buried, the Ferrari will prance all the way up to 195 mph.